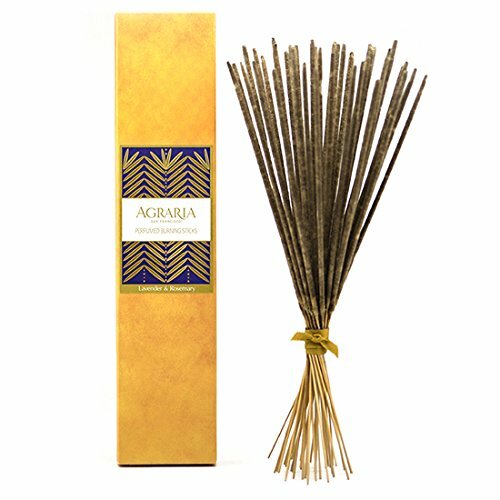 With a fragrance load of 50%, our incense is so luxurious, we labeled them Perfumed Burning Sticks. We also use them outside as a fragrant way to greet guests as they come through the garden gate. Each stick will burn for approximately 40-minutes. Our unique and deeply aromatic blend of French lavender and Italian rosemary is enriched with the zest of bergamot and a few drops of English Amber.